This T&S Brass 001637-45 lever handle has a red index around the screw so anyone who uses the handle when it is attached to a sink will know hot water will come out of the faucet. 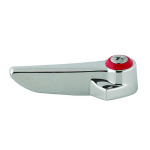 The lever handle fits all of the standard T&S Brass compression and ceramic cartridges. 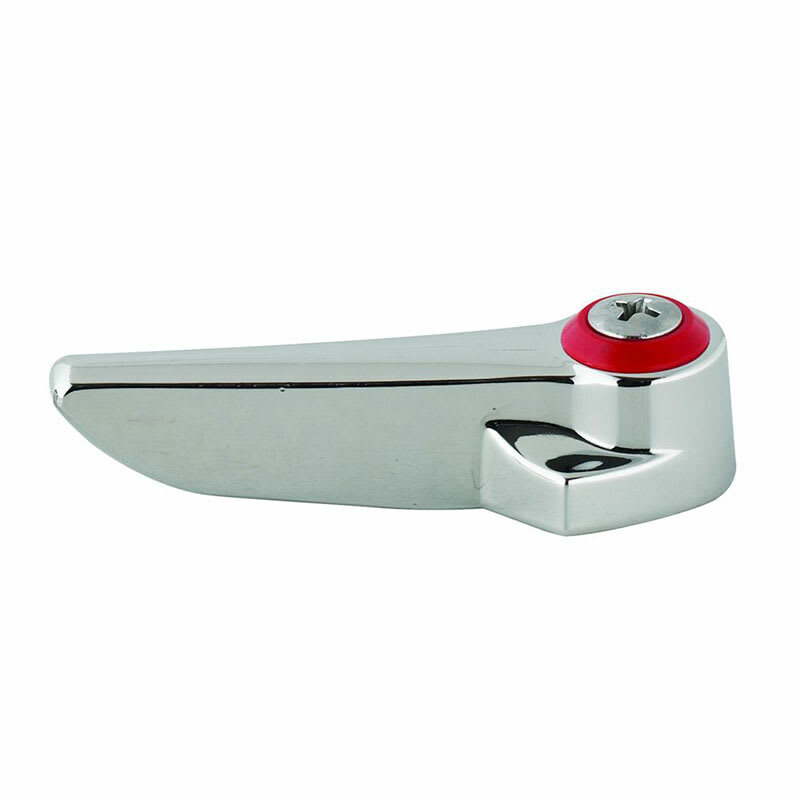 For a shiny appearance and durable handle, it is made of chrome-plated metal. From the middle of the screw, the length of the T&S Brass 001637-45 lever handle is 23⁄16 inches, the width is 1 inch, and the height is 5⁄8 of an inch. "Best price and promp delivery"